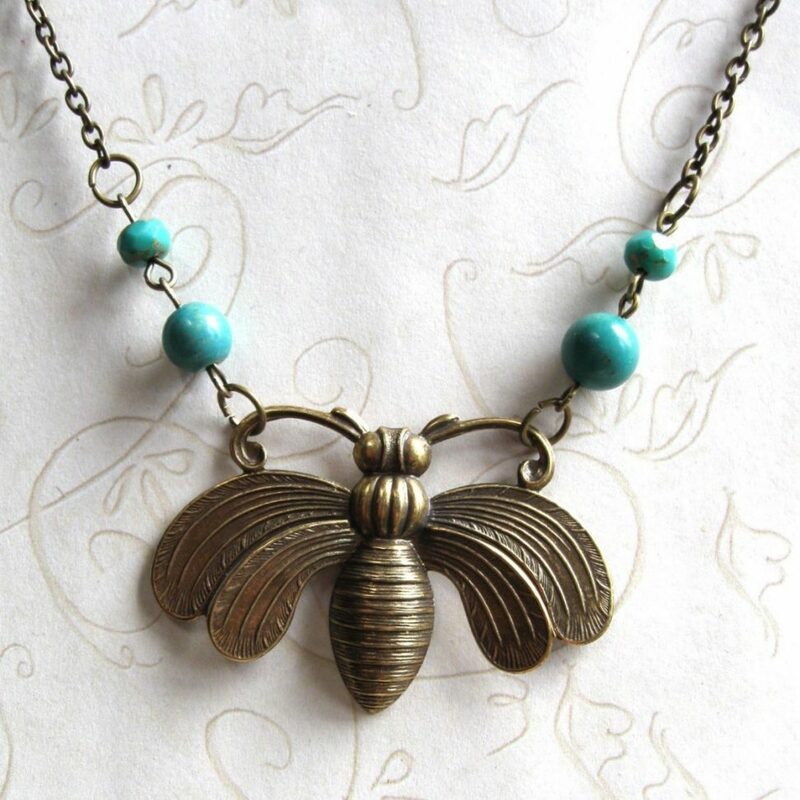 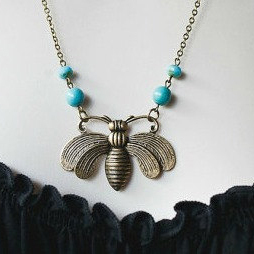 Here is a super cute brass bee necklace featuring a nicely detailed large brass bee pendant, which is suspended from a sturdy brass chain along with turquoise beads. 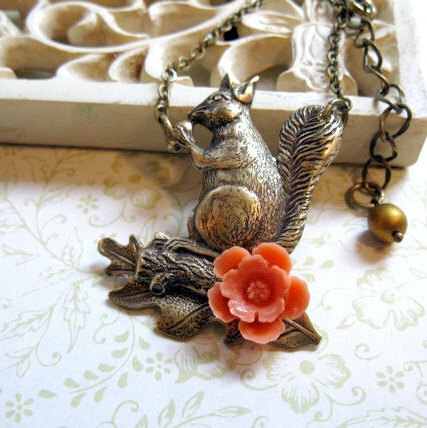 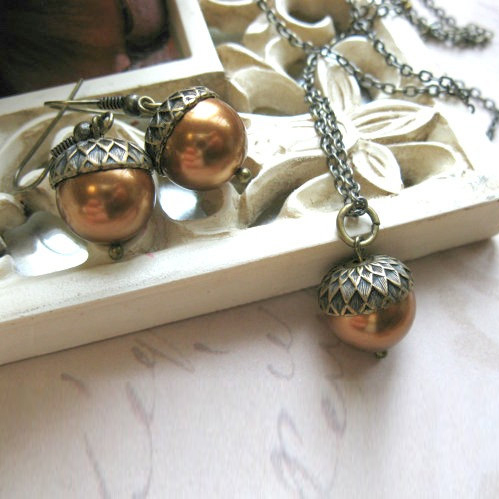 Necklace is closed with a parrot style clasp. 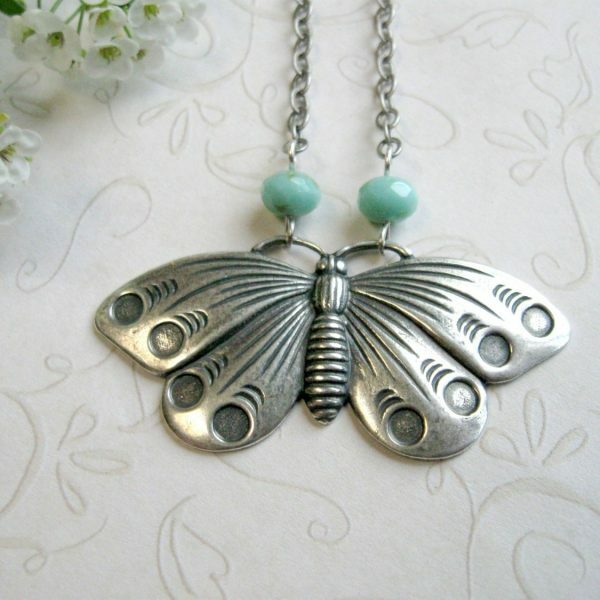 This particular necklace looks great with a shorter length, therefore, I have made it with an adjustable 16″-18″ chain, please specify on the invoice if you would like it a bit longer.